A pioneer, an innovator, an ambassador for dance music, a truly globally respected DJ, a house music stalwart, a musical perfectionist, an accomplished remixer and producer, a passionate radio presenter...Danny Rampling is one of the most gifted and illustrious DJs the world has heard. As one of the godfathers of the global house phenomenon, Danny created the legacy we see today when he launched Shoom in London in 1987 following an inspirational trip to Ibiza. "Saturday 1987 in a strobe light smoke-filled all-night basement Shoom was born. This is where the dj high really began for me." He was keen to spread the gospel on pirate radio Kiss FM before it was granted its broadcasting license and continued with his weekly show on the station until he was poached by Radio 1 in November 1996. His Love Groove Dance Party show became the definitive dance show on the BBC until March 2002. Now without the restrictions of a radio show, Danny continues to champion house music across the world and has entertained millions over the years. 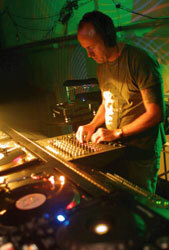 With over 40 remixes, productions and mix compilations under his belt too, Danny's sound continues to influence dancefloors.